Saturday morning we woke up to Miss A upside down. She had pushed off me to get closer to her dad. 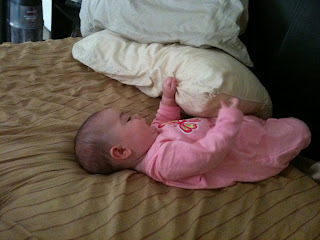 While he was in the bathroom she decided she needed to play with his pillows. 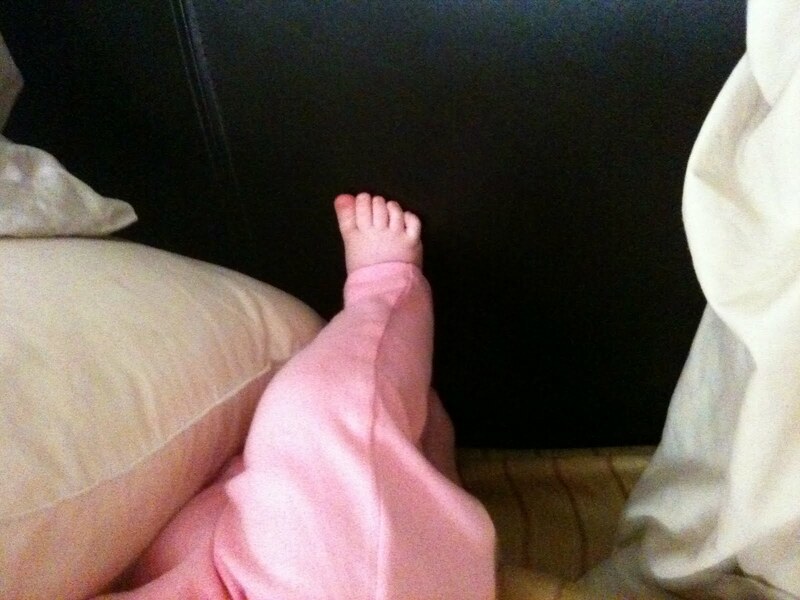 She had her little feet pressed up against the headboard. 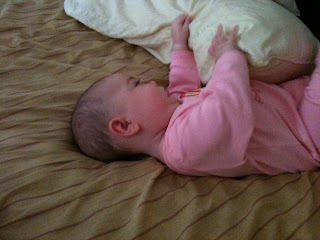 Just playing away with her daddy's pillow. 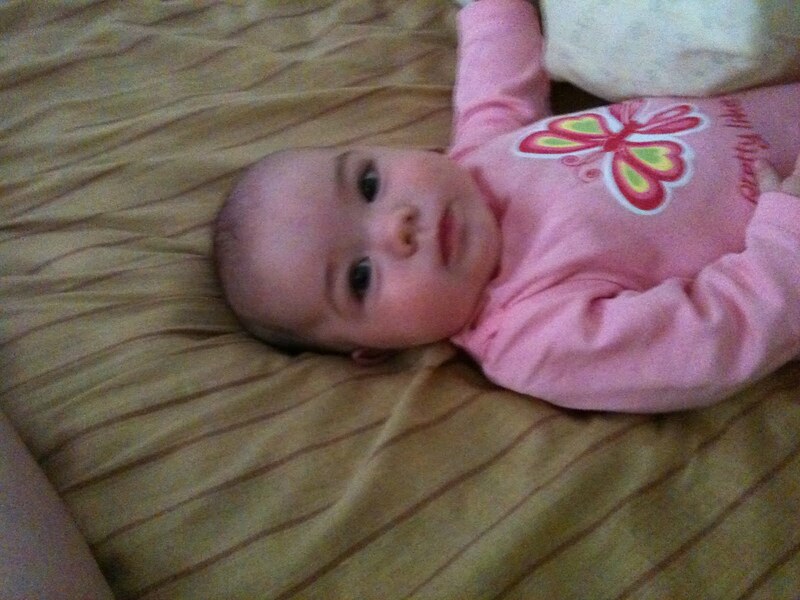 I FINALLY got her to look at me so I could get a picture of her cute little face. 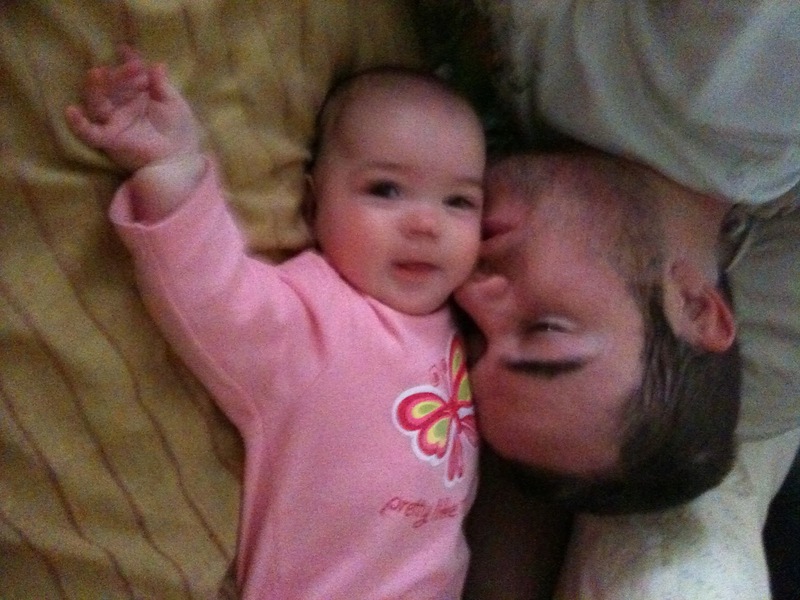 All she wanted though, was her daddy. 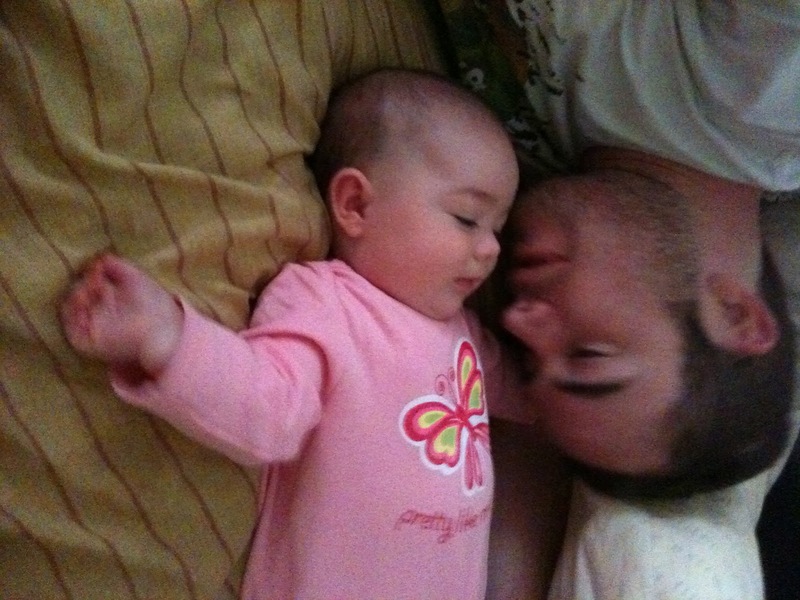 And when he finally dove in for a kiss, she turned and gave me her I got what I wanted smile, before quickly moving back to paying attention to her daddy. It's so cute. She's starting to really enjoy being with her daddy. I want to say Friday and Saturday night she even let him put her in sleep, she didn't even need to nurse! He just held her and out she went.